The Elms Family Hotel hasn't changed since I first visited in 2001, and I imagine for a while longer. 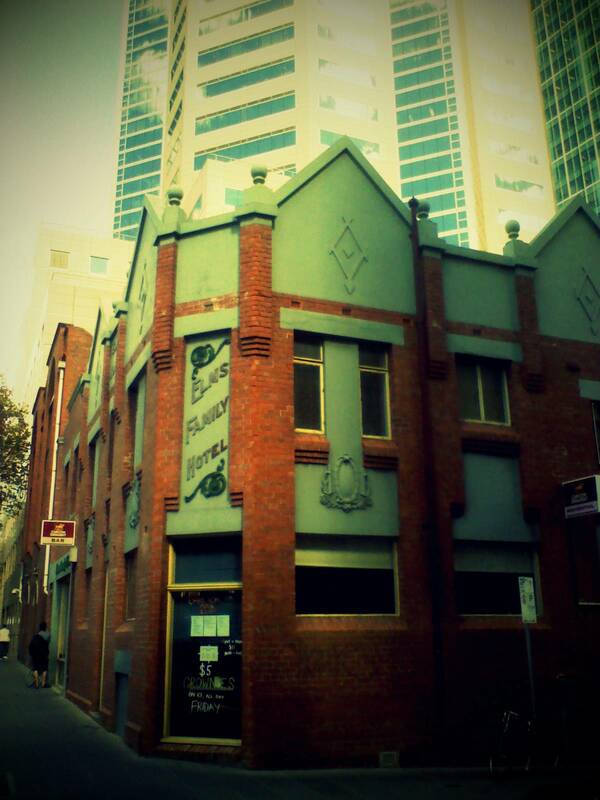 It sells itself as a family hotel in the city, and it delivers on that. 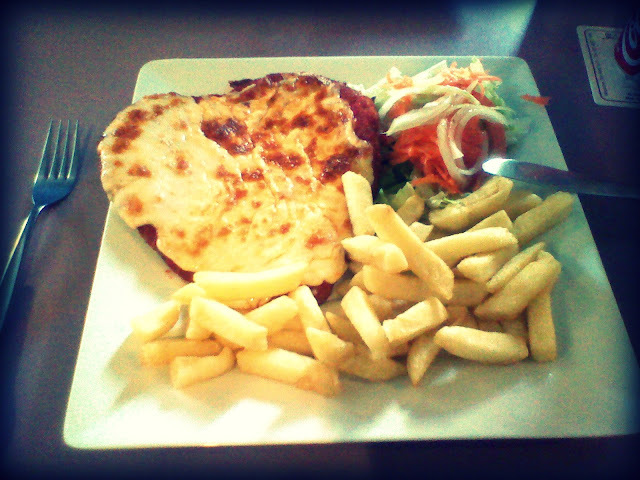 On a recent lunch time visit I took advantage of the $11 for a pot and parma offer that run from Monday to Wednesday. I'm a definite convert to the parma since arriving in Melbourne and this one didn't disappoint, being big but not ridiculously huge, with well cooked chicken (not too dry), crispy breadcrumbs, the right amount of marinara sauce and cheese. The chips were good, and the salad although basic was crisp.